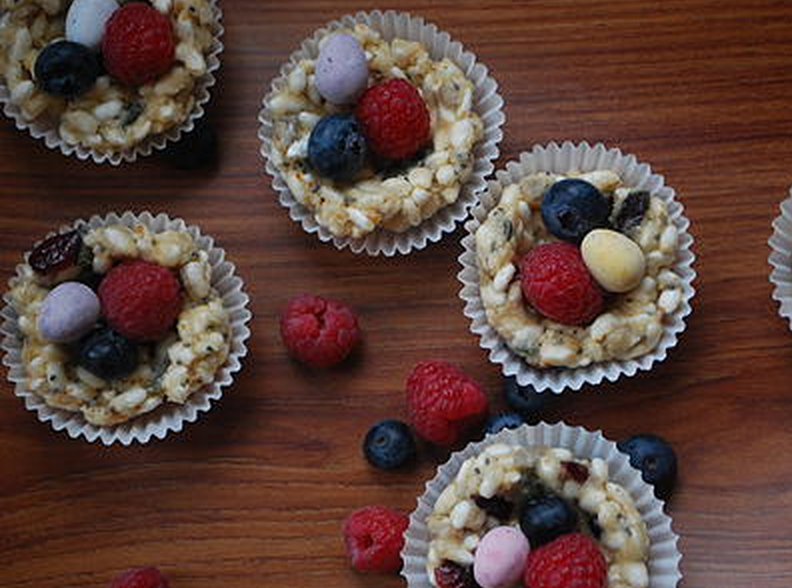 These are a really delicious treat and so much fun to cook with the kids. 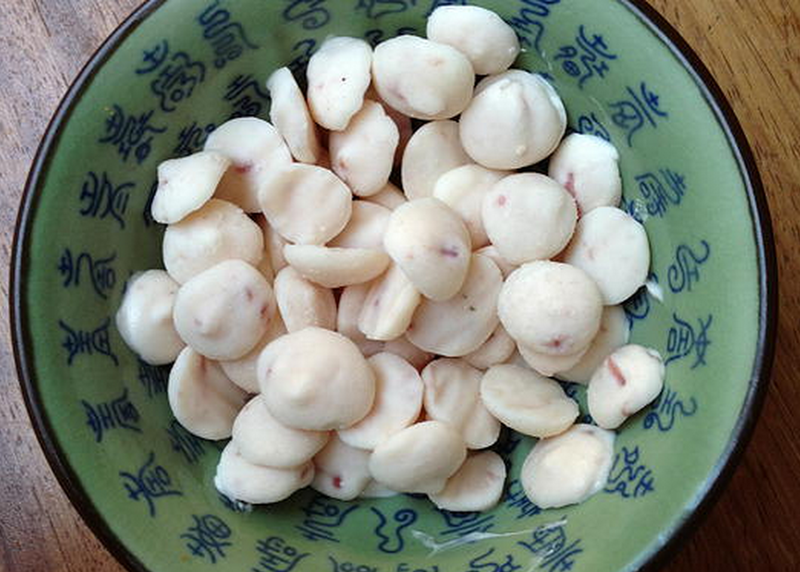 They look great too and, although quite heavy on butter, they are better than most children’s snacks on the market, plus fun to make. 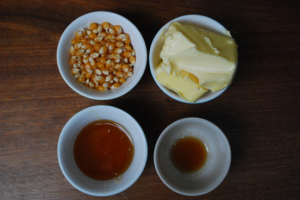 Heat oil in a large saucepan on a medium heat and add popcorn and cover. Cook until kernels all pop, shaking frequently, for about 3 to 4 minutes. Remove from heat and allow to cool. 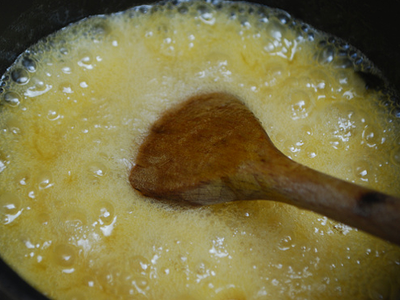 In another pan, melt the butter and add in the honey. Bring to the boil and boil for a few minutes. Pour this over the popcorn and coat. Spread mixture evenly onto prepared baking sheet. 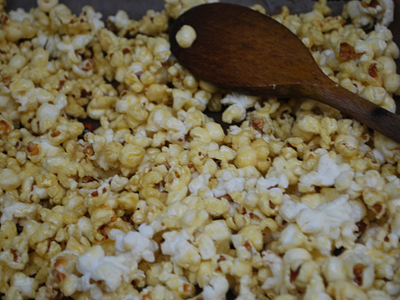 Place in oven and bake for 15-20 minutes, gently stirring popcorn every 5 minutes. Remove from oven and allow to cool until just able to handle. If a small child is helping please make sure it's not too hot for them! 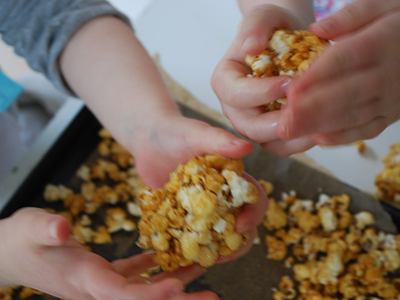 Using hands, shape popcorn mixture into popcorn balls. 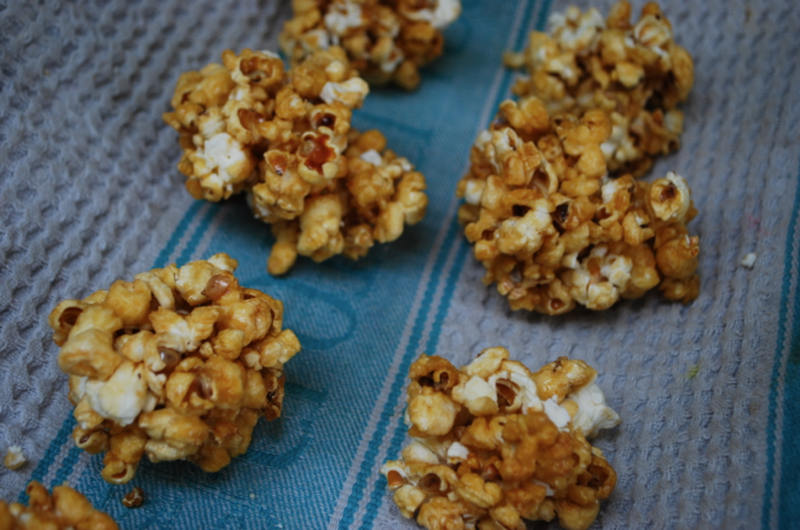 Try and leave behind any un-popped kernels as they are horrible to bite into. These popcorn balls can be stored in an airtight container for up to 2 weeks, just make sure the environment does not get too hot or damp. These are really delicious but I struggled a bit to get them to stick together as balls. Also delicious as loose popcorn though!